Kyousuke Kousaka is a high school boy living an average, quiet life, but it all takes a sudden change when his little sister Kirino asks him for advice. Kirino has a popular and fulfilling life, but the truth is that she loves anime, games, and other otaku interests. 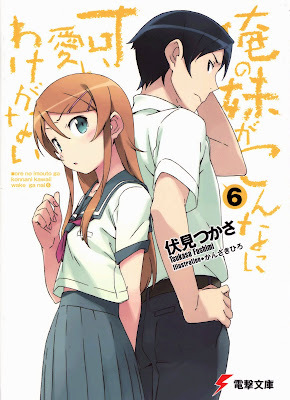 Kyousuke answers her request for advice seriously, and the frozen relationship they shared begins to thaw from the resulting encounters with Kuroneko and Saori Vageena, two girls they meet through a SNS, conflicts with Kirino's best friends, Ayase and Kanako, and help from Kyousuke's childhood friend, Manami. Now that the latest issue involving Kirino's study abroad is over, what kind of events will her “advice” bring up next ?